I was shocked when I learned how to make powdered sugar. Also known as confectioners or icing sugar; I'll give you the easy steps below. Place the white sugar in the blender and process until it turns to powder. That's it - and this also equals one cup too (whatever amount of sugar you need, just measure that amount in granulated sugar). The commercial brand adds cornstarch, but I don't do that when I make it. Frosting is so flavorful without the taste of cornstarch (yuck). So there it is. Now, starting adding up how much money you are going to save. Oh, one more thing...Your going to get sick when you see this. Place the white sugar in the blender and pulse two or three times until the granules are extra-fine and smaller in shape. That's all there is to this too. 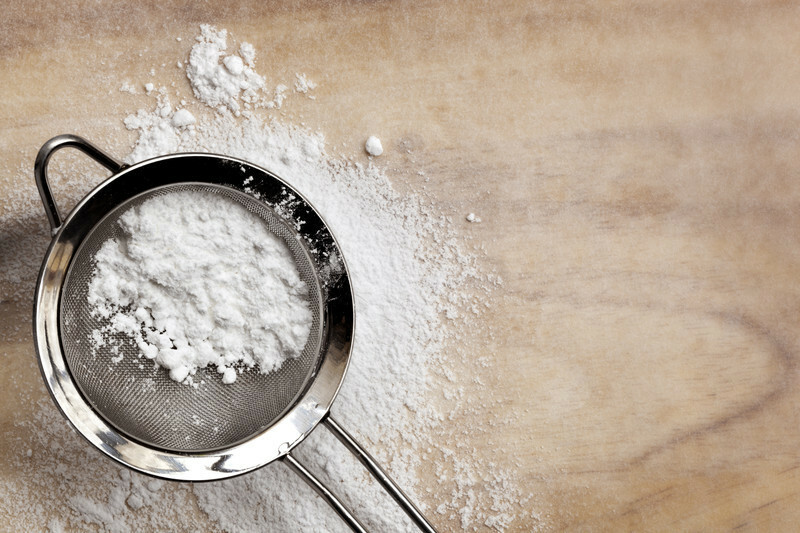 Now that you know how to make powdered sugar, I've got a treat for you. If you want chocolate cream cheese frosting, just add 1/4 to 1/2 cup pure cocoa powder, or according to how rich you want it. This recipe makes three cups of heaven. If it is too "cream cheesy" for your taste, just use one package of cream cheese. I love it, but I know everyone is different.